Only a month into the new school year, Advanced Placement Environmental Science students were given the chance to take an exciting field trip. As it turns out, the information they collected was not the real reason to take this excursion. 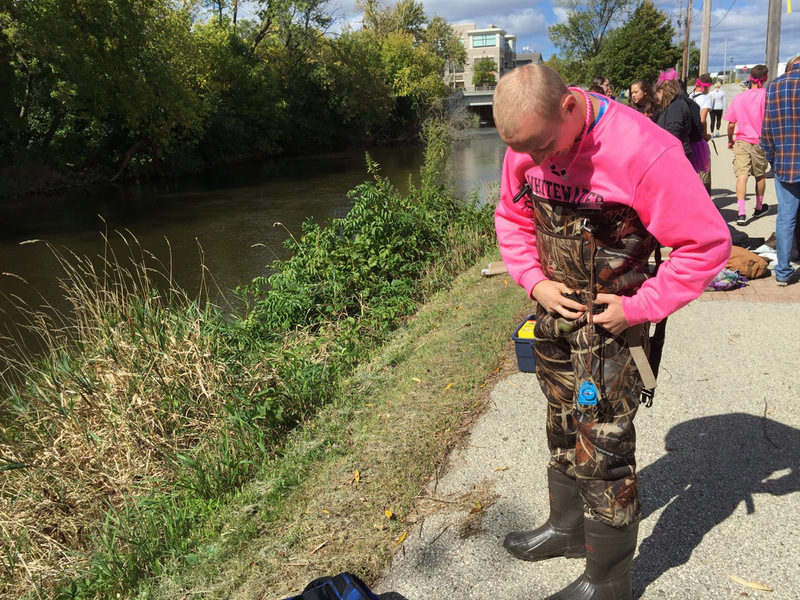 The APES classes journeyed to different locations along the Milwaukee River on Sept. 30. Their stated purpose was to test the water chemically, physically, and biologically, but the main intention was to connect to the land. “ I could rattle through it in a PowerPoint, but once you do the tests in the river, you know, wet up to your knees, I think you start to make a connection that the land affects the river, I affect the land, I affect the river. You’re standing in it,” said Paul DeLain, West APES teacher and director of the field trip. Busy with electronics, social media, and life in general, teens are not exposed to nature as much as would be the case 50 years ago. Back then, children did not have the conveniences and luxuries of modern technology. Very few modern day children make a point to go outside, experience the elements, and know their place in the ecosystem, according to DeLain. However, many teens recognize a true opportunity when it hits. Miranda Paikowski, East senior, said that as she went through her years of schooling, field trips seemed to become less and less of a priority. She enjoyed actually being able to participate in a hands-on activity, get into the water, and have fun with learning. “It’s good to get out and do actual work in the environment, [instead of] sitting around and doing classwork,” said West junior Alan Duncan, who added that this was his first and only field trip in high school. Since he was able to interact with the environment and take a different approach to a normal school day, it helped to leave a positive memory. DeLain understands that an AP curriculum has a lot of material that must be covered in a short period of time. He wishes that those whose curiosity goes beyond what is explained in class would join SEED, the high schools’ environmental group. Through this after school club, kids take visits to the outdoor classroom and volunteer in the community in ways that benefit the environment. This leaves one more outlet to turn to if the desire or need to be outside is not being met. For those interested, SEED (Saving Earth Every Day) meets every Thursday at 2:45 p.m. in room C30. 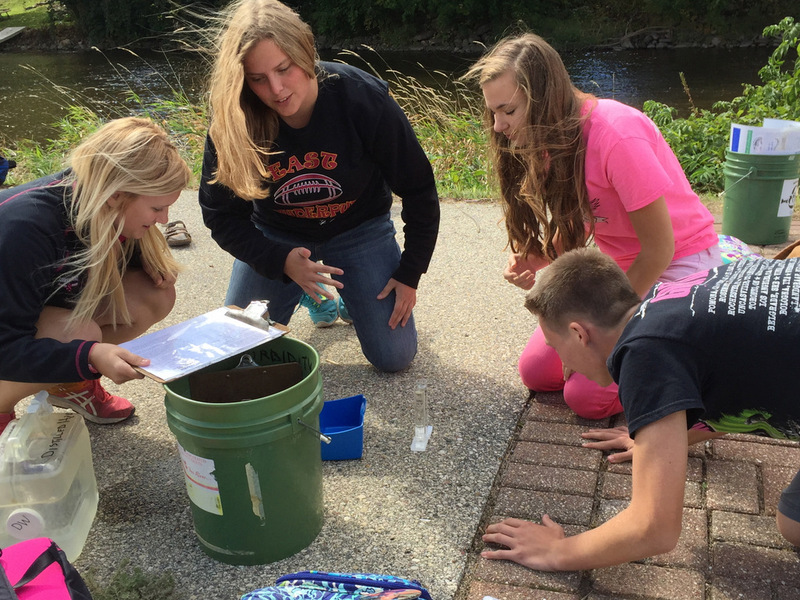 Leah Schrank, Savannah Crites, Abby Dalton, and Jordan Gehrke (left to right) collect data on the edge of the Milwaukee River. Photograph courtesy of Paul DeLain, West science teacher.